Ducati has “three good candidates” to partner Andrea Dovizioso at its works MotoGP team in 2020, according to sporting director Paolo Ciabatti. Danilo Petrucci was promoted from satellite team Pramac to replace Jorge Lorenzo at the factory outfit this year but, unlike every other works rider on the grid, he was handed only a one-year contract. To keep his seat beyond 2019, Petrucci will have to see off competition from Jack Miller – who will ride a factory-spec Desmosedici bike for Pramac – and the Australian’s new team-mate Francesco Bagnaia, who will have a 2018-spec Ducati. “The results of Petrucci, Jack and Pecco will lead us to decide which rider will be in the official team in 2020,” Ciabatti told Autosport. Bagnaia, one of MotoGP legend Valentino Rossi’s proteges, impressed in post-season testing with Pramac at Valencia and Jerez. Ducati had handed the 21-year-old a premier-class deal even before the start of his title-winning Moto2 2018 campaign, in which he sealed the championship with a race to spare. “Pecco did an amazing season in Moto2,” Ciabatti said. “We hired him in January and it was a gamble. We signed him thinking about our future, and now we know it was the right decision. “Next year he will ride a 2018 Desmosedici, and we’ve demonstrated that it is a very competitive bike, although I expect the 2019 [version] to be even more competitive. 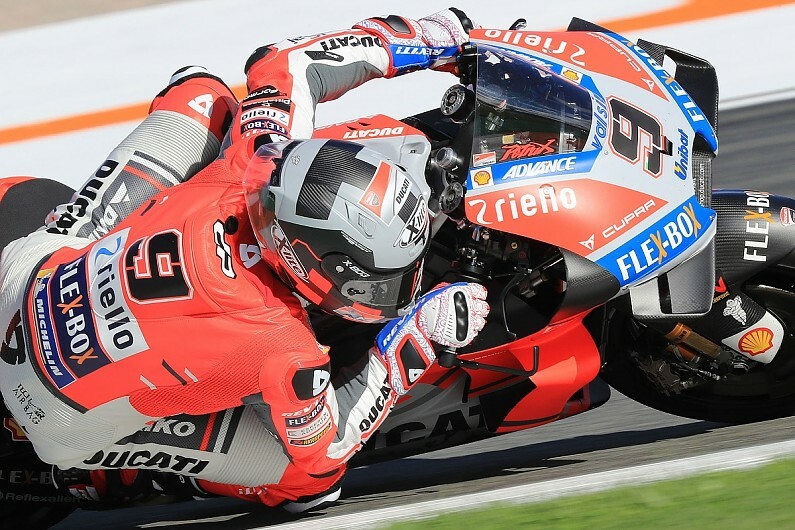 Ciabatti has previously said Petrucci – whose has achieved a best result of second on four occasions in MotoGP – still needed to prove to Ducati that he was able to win races. But Ciabatti has since added he does not expect Petrucci to target beating Dovizioso right away. “Danilo will have to face more pressure, and his goal will be to win for the first time and always fight to end up within the top five,” Ciabatti said. “Danilo’s target isn’t beating Dovizioso, although if he can do it, that would be perfect.